Car manufacturer Mazda has issued a voluntary recall of 42,000 cars in the US to perform a software update following an invasion of spiders. 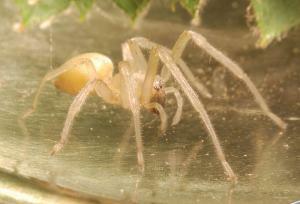 The yellow sac spider, which is attracted to the smell of petrol, has been found climbing inside the Japanese company’s cars, weaving webs around the engine and causing blockages. This can lead to increased pressure and potential fires, causing Mazda to recall its vehicles so it can install new software that will monitor pressure levels and warn the driver of any dangers. Of all the mass recalls of cars that will happen this year, this one will probably be the strangest. Nevertheless, it illustrates a valuable lesson that all automotive businesses must be prepared for any risk they could face; getting comprehensive motor trade insurance is a great way to achieve peace of mind for even the most unlikely problem you might encounter. Earlier this month Mazda released a statement claiming that it was not aware of any fires caused as a result of this issue as of yet. However, this is not the first time that Mazda has suffered from this problem; in 2011 52,000 of the Mazda 6 cars – produced between 2009 and 2010 – were recalled because of the same problem. Whereas a spring was previously used to attempt to stop the insect intrusion, Mazda is now implementing a software update to monitor the problem. Owners of cars affected can have the fault fixed free of charge, the company has also said.